Are you looking for a reliable fence company? Your search ends here! Red Fox Fence is the Danbury CT fence company trust with all your fence repair and installation needs. We are ready to help you with any needs that you have with fence repair or installation. At Red Fox Fence, we only build our fences with the best fencing products available, and our installation crews are experienced, knowledgeable, and committed to your complete satisfaction. 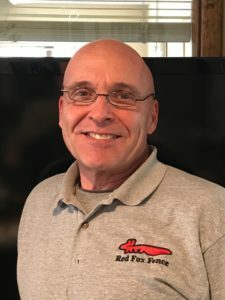 You will certainly be happy working with the most experienced Danbury CT fence company, Red Fox Fence. Every fence project requires an experienced team to make sure that your fence project goes as smooth as possible. This is one of the key reasons why you should contact Red Fox Fence at (203) 580-1066. We treat every fence installation project with detail to ensure that the job is done right. We understand that a proper fence is essential to making sure that it is aesthetically pleasing, but also serves it’s designed purpose at the residences across Danbury. We insure the highest quality work with every client to ensure their fence offers ample privacy and maximum security. We have installed many different types of fences and driveway gates and have worked with clients throughout Danbury, CT. Our team of fence professionals possess the skills to tackle all types of fence types. From wood, iron, or vinyl fences, we can offer you quality fence options for your pool, perimeter, tennis court, and backyard. Additionally, we can help you install any garden fence to spice things up including arbors and pergolas. At Red Fox Fence, a creative team of designers are standing by to get to work and create a suitable fence design that’s both reliable and appealing. We strive to ensure that the final product design blends with the already existing architectural plan. This ensures that our work further enhances the beauty and value of your home on completion. We want to be your Danbury CT fence company! By partnering with us, you will have the finest Danbury CT fence company on your side for both new fence installation and repairs on currently installed outdoor fences. We will help rectify problems arising from poor workmanship by a previous contractor and restore the integrity of your fence with ease. With over 12 years of service as your fence company in Danbury, CT, we have grown to be a reliable service provider in Danbury and the Aqua Vista and St Gregory areas, too. Our commitment to always provide the highest quality service at a fair price has seen us become a household name throughout Danbury with many delighted clients. We would love to help you with your fence installation needs and bring you unparalleled joy too by installing a fence that your neighbors will envy. Give us a call today at (203) 580-1066 and we can get right out to your home to give you a complimentary estimate for your fence project. Danbury is part of Fairfield County, CT. It is within the New York Metropolitan area and is located about 39 miles away from Manhattan. With an official population count of 80,893 as at 2010, Danbury is the 7th most populous city in Connecticut. The town is nicknamed “Hat City,” as it was at the heart of America’s hat industry during the late 19th century and early 20th century. Danbury is, also, home to some prestigious institutions offering different services to the community. From the impressive facilities at Danbury hospital to the quality educations received at Western Connecticut State University, you will find excellent services all-round. Danbury Fair Mall is also close by if you are in the mood for some retail therapy. Danbury, CT is indeed the place to be. USA Today certainly recognized this when they named it the second best city to live in America in 2015.